Caprylic acid (also called octanoic acid) belongs to a class of medium-chain saturated fatty acids. Found naturally in dairy products, palm oil, and coconut oil, caprylic acid is also available in medium-chain triglyceride oil (which is about 75% caprylic acid) and in supplement form. Proponents claim that caprylic acid has antibacterial, antiviral, and antifungal properties and it can help treat health problems associated with the overgrowth of yeast, such as vaginal yeast infections, candida, and thrush. Caprylic acid is also said to treat fungal infections, such as ringworm. In addition, caprylic acid is purported to manage high blood pressure, treat Crohn's disease, as well as reduce cholesterol levels and fight off bacterial infections. To date, research on the health effects of caprylic acid is very limited. However, there's some evidence that caprylic acid may offer certain health benefits. Here's a look at several key findings from the available studies. Preliminary research indicates that caprylic acid may help keep your cholesterol in check. In a study published in the journal Lipids in 2008, tests on rats determined that treatment with caprylic acid led to a decrease in cholesterol levels. However, caprylic acid failed to lower blood pressure. Caprylic acid shows promise in the treatment of Crohn's disease. In a 2002 study published in the British Journal of Pharmacology, tests on human cells revealed that caprylic acid may help treat Crohn's disease by suppressing the release of interleukin 8 (a protein that plays a key role in promoting intestinal inflammation). Although some animal-based research suggests that caprylic acid may offer antibacterial benefits—and, in turn, help prevent or treat bacterial infections—there is currently a lack of research testing caprylic acid's effectiveness against bacterial infections in humans. 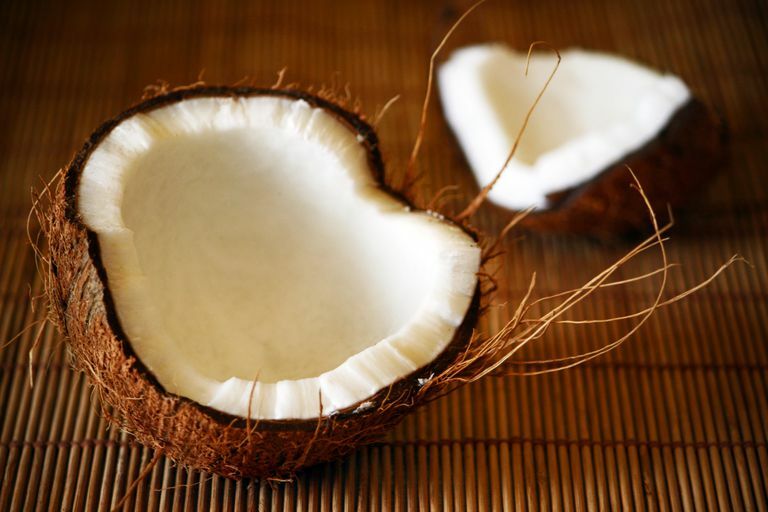 Although there's currently little scientific evidence to support the use of caprylic acid supplements, increasing your intake of caprylic acid by consuming coconut oil may offer certain health benefits. For instance, preliminary studies suggest that coconut oil may help reduce abdominal fat, promote weight loss, and improve cholesterol levels. What's So Great About Coconut Oil? If you're seeking an alternative treatment for yeast infections, natural remedies such as probiotic supplements may be of some benefit. Available for purchase online, supplements containing caprylic acid are sold in many natural-foods stores, drugstores, and stores specializing in dietary supplements. Due to a lack of research, little is known about the safety of long-term use of supplements containing caprylic acid. There's some concern that caprylic acid may trigger certain side effects, such as nausea, constipation, heartburn, diarrhea, and indigestion due to an increase in fatty acid intake. People with liver disease, hypotension, or medium-chain acyl-CoA dehydrogenase (MCAD) deficiency should avoid using caprylic acid. Caprylic acid supplements may interact with blood pressure medication, NSAIDs, warfarin, and herbs and supplements that may lower blood pressure such as coenzyme Q10, andrographis, fish oil, and L-arginine. It's important to note that self-treating a chronic condition (such as high blood pressure or Crohn's disease) with caprylic acid, and avoiding or delaying standard care, may have serious consequences. If you're considering the use of caprylic acid to treat a condition, make sure to consult your physician. Hoshimoto A, Suzuki Y, Katsuno T, Nakajima H, Saito Y. "Caprylic acid and medium-chain triglycerides inhibit IL-8 gene transcription in Caco-2 cells: comparison with the potent histone deacetylase inhibitor trichostatin A." Br J Pharmacol. 2002 May;136(2):280-6. Kim BH, Sandock KD, Robertson TP, Lewis SJ, Akoh CC. "Dietary structured lipids and phytosteryl esters: blood lipids and cardiovascular status in spontaneously hypertensive rats." Lipids. 2008 Jan;43(1):55-64. Nair MK, Joy J, Vasudevan P, Hinckley L, Hoagland TA, Venkitanarayanan KS. "Antibacterial effect of caprylic acid and monocaprylin on major bacterial mastitis pathogens." J Dairy Sci. 2005 Oct;88(10):3488-95. Borage Oil for Better Hair, Skin, and Joints? Is Greater Celandine an All-Natural Cancer-Fighter?